Last week, I traveled with my grandparents down Skyline Drive in Shenandoah, and much of the Blue Ridge Parkway beyond that, until we reached the Great Smoky Mountains. The aim was to gawk at resplendent fall colors, but thanks to weird weather this year, that didn't happen. Oh well, we still immersed ourselves in beautiful scenery regardless. 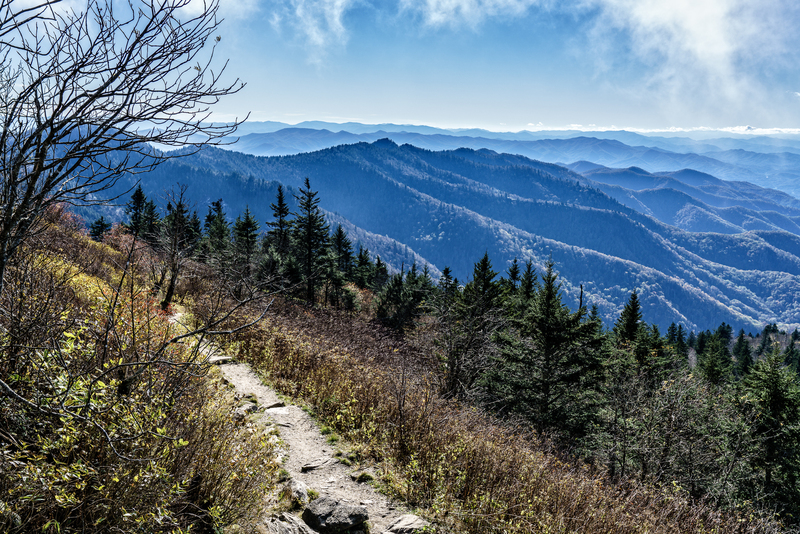 Here's a view from Waterrock Knob Trail, the "last" hiking trail on the Blue Ridge Parkway when driving east to west.